Straight after Glastonbury we were down to the Red Bull Space in London Bridge, working alongside Kim Howells, and designing the 'Muse' exhibition for House of Organza. 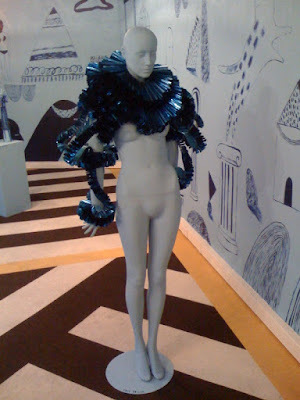 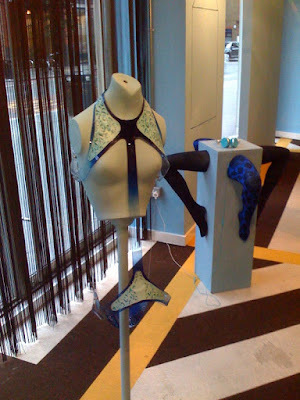 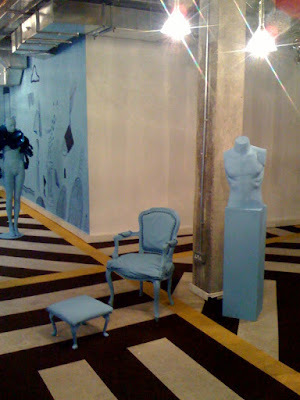 The environment was coated in a splash of Blue to house the already Blue mannequin bodies that had featured in the Ella Dror Press day and the 'Muse' Look book by Karina Twiss. 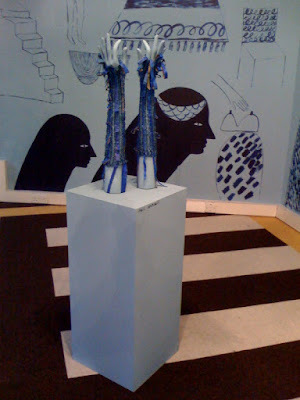 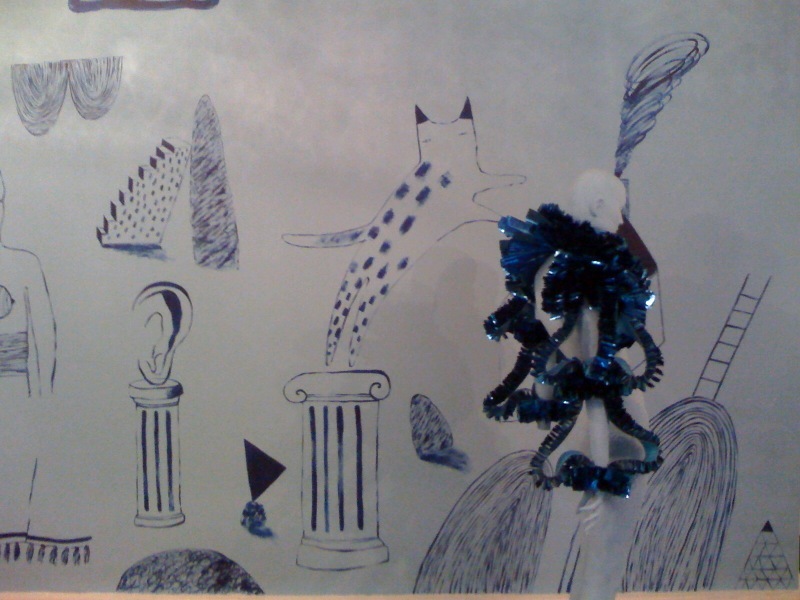 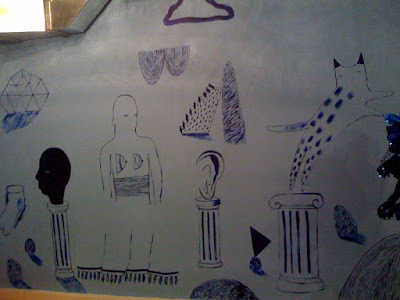 Rosie Nicholas illustrated a wall mural of tribal blue drawings. We even had the amazing Daniel Sannwald who had created a mesmerizing series of animated GIF's and also a beutiful timeless film which captured all the essence of the fashion pieces by none other than, Piers Atkinson, Lyall Hakarai, Craig Lawrence, Fred Butler and Patternity. 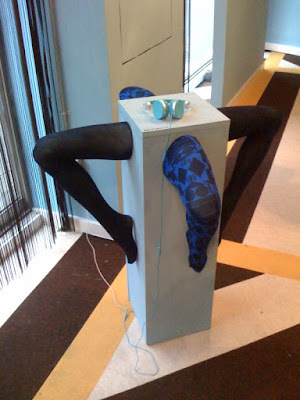 Hey DJ Put a record on!